Tsygankoite: Mineral information, data and localities. Named in honor of Mikhail V. Tsyganko (25 October 1979-), a mineral collector from Severouralsk, Northern Urals, Russia, who collected the samples within which the new mineral was discovered. 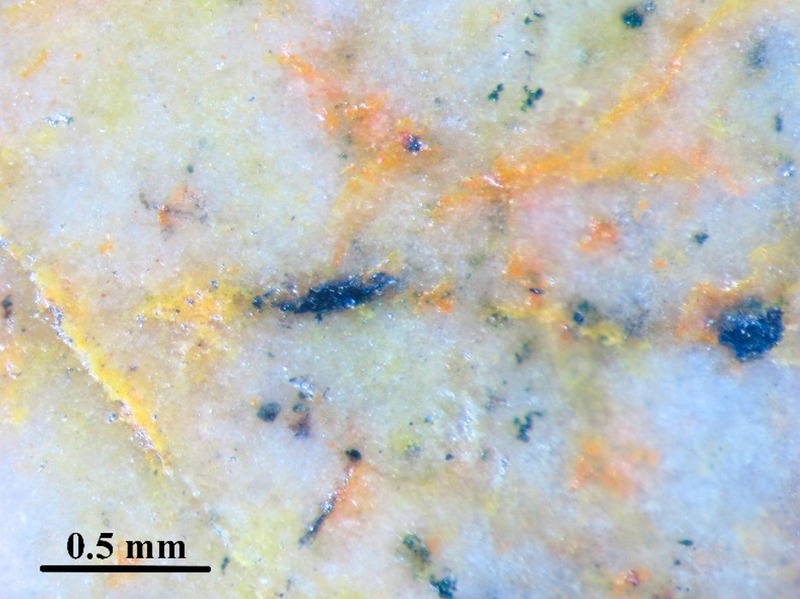 Lath-like elongated crystals up to 0.2 mm embedded in calcite–dolomite–clinochlore matrix. Kasatkin, A.V., Makovicky, E., Plášil, J., Škoda, R., Agakhanov, A.A, Karpenko, V.Y. and Nestola, F. (2018) Tsygankoite, Mn8Tl8Hg2(Sb21Pb2Tl)Σ24S48, a New Sulfosalt from the Vorontsovskoe Gold Deposit, Northern Urals, Russia. Minerals: 8(5): 218. Kasatkin, A.V., Makovicky, E., Plášil, J., Škoda, R., Agakhanov, A.A. and Karpenko, V.Y. (2018) Tsygankoite, IMA 2017-088. CNMNC Newsletter No. 41, February 2018, page 184; European Journal of Mineralogy: 30: 183-186; Kasatkin, A.V., Makovicky, E., Plášil, J., Škoda, R., Agakhanov, A.A, Karpenko, V.Y. and Nestola, F. (2018) Tsygankoite, Mn8Tl8Hg2(Sb21Pb2Tl)S24S48, a New Sulfosalt from the Vorontsovskoe Gold Deposit, Northern Urals, Russia. Minerals: 8(5): 218.